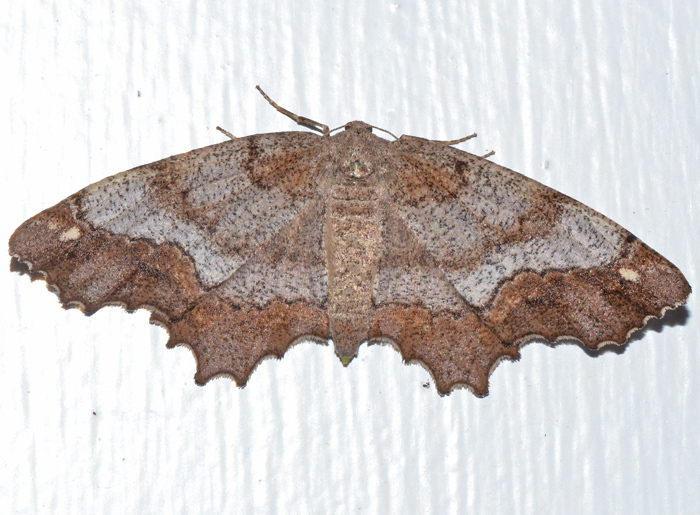 Also called called 'White Spot' in the UK, this highly variable moth is not very common in Florida. Its habitat are deciduous and mixed woods. 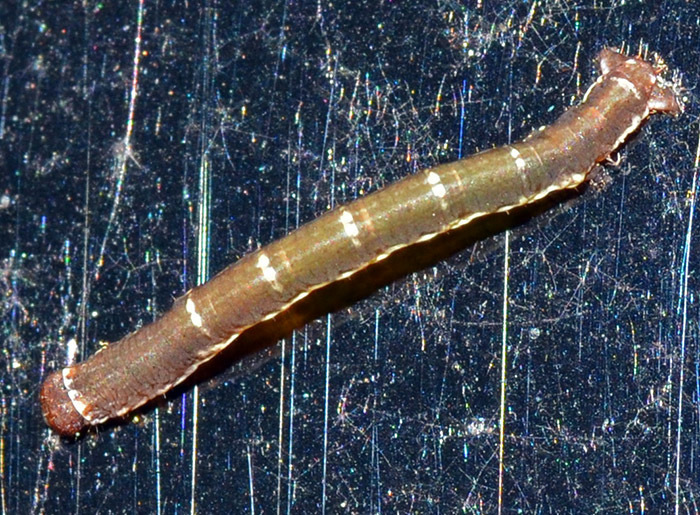 Larvae are twig mimics and have a mottled gray appearance. They overwinter exposed on tree bark and branches. The wingspan of this specimen was about 4 cm. The caterpillars of the One-spotted Variant have a cylindrical body, mottled in grays and reddish-brown with faint longitudinal streaking. They lack any conspicuous warts, humps, or other distinctive characters.